There are many targets still biting. The big surprise is there are still a lot of halibut in the bay. And we are seeing some very good scores. It is like we are fishing halibut in May. 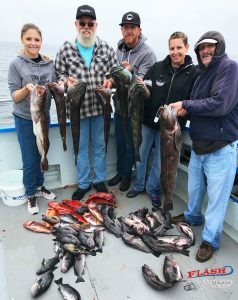 The big leopard sharks, rockfish and lingcod are biting. 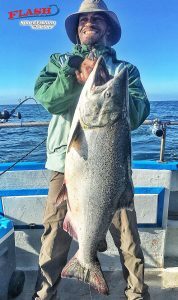 The salmon is on and off but when they are on we are landing some big ones. And we are seeing some limits. Enjoy the photos.